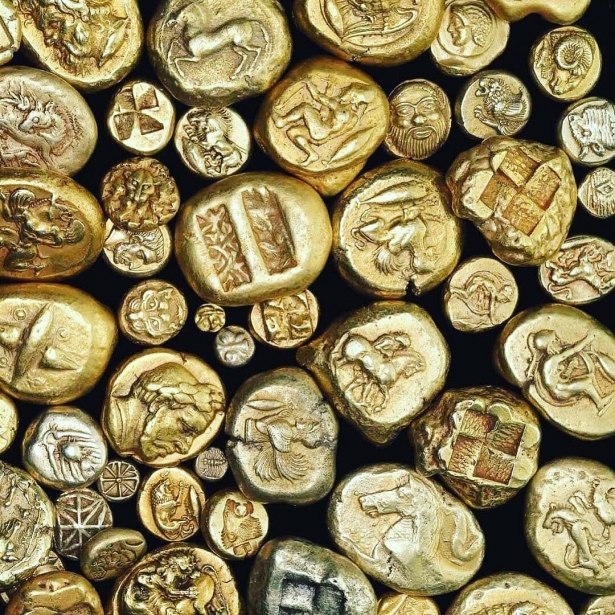 In previous articles, we told about the most ancient myths about gold, legends about the magical El Dorado and the treasures of the leader of the Aztecs of Montezuma. The fourth article of our series is devoted to the legends of the gold of Norse dwarves. Dvergar or Norse dwarves are fairy creatures and skillful blacksmiths, famous characters of Scandinavian myths. 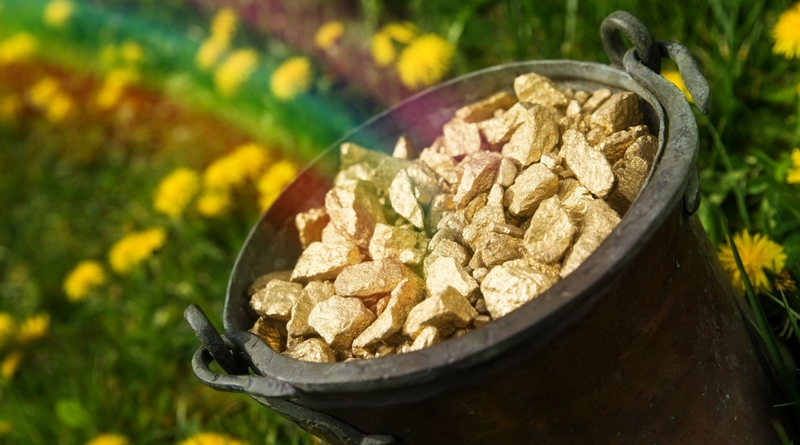 According to ancient legends, they possess innumerable gold treasures, hidden from people deep underground. Once Loki, the god of trickery and deceit in Scandinavian mythology, argued with the dwarves Sindri and Brokkr about their blacksmith talents. Loki doubted the skills of the dwarves. The inhabitants of the dungeon wanted to prove to him that they were able to forge a skillful item out of gold that would amaze everyone with its workmanship. Skillful dwarves-blacksmiths created the golden ring Draupnir. Sindri and Brokkr presented the magic ring to Odin — the supreme god in German-Scandinavian mythology. According to the legend, every ninth night this magic ring "multiplied", generating eight golden rings of the same weight for its owner. It was believed that by wearing a belt made from the rings of Draupnir, its owner becomes invincible. By making a magic golden ring, Sindri and Brokkr reaffirmed their titles as the most talented blacksmiths, while Loki lost the bet. 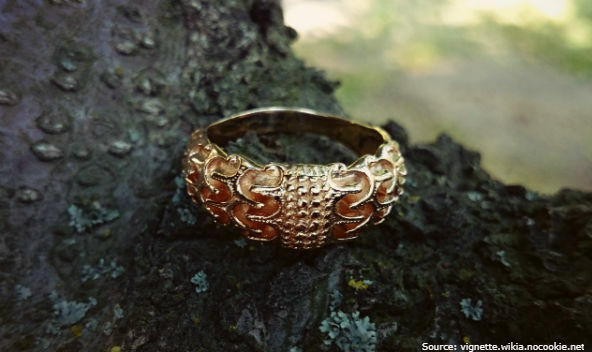 In the photo: a golden ring Draupnir made by modern jewelers. Ancient Scandinavians considered Draupnir a symbol of prosperity and a great wealth, which increases if it is properly managed. Sif, the goddess of fertility and the wife of Thor, was famous for her amazing beauty and luxurious blond hair. Out of envy of Thor, Loki made his way to Sif while she was sleeping and shaved her hair off. The enraged god of lightning immediately guessed who committed this despicable act. Thor wanted to severely punish Loki, but he vowed to fix it. According to the legend, Loki went to the land of underground residents and persuaded the dwarfs to make magical hair for Sif. Being skillful forge masters, Norse dwarfs forged golden hair for her instead of those that had been cut off. Legend says that her precious tresses were described as follows: "Long and thick, they were thinner than cobwebs. Just by attaching wonderful golden hair to her head, they began to grow immediately, like real ones." According to the Scandinavian beliefs, gold is the tears of the golden-haired Freya, the goddess of love. She wept with golden tears, missing her husband. 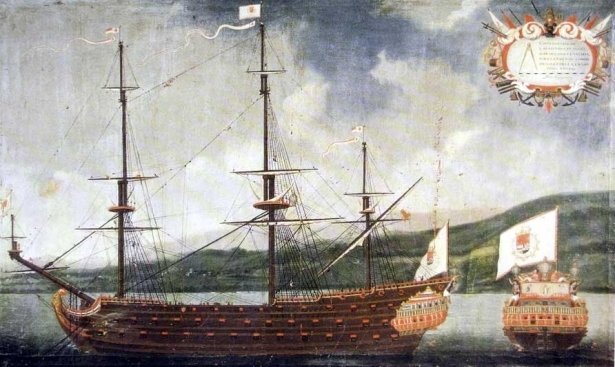 Freya traveled the world in a chariot pulled by two huge cats called "Honey Gold" and "Amber Gold." 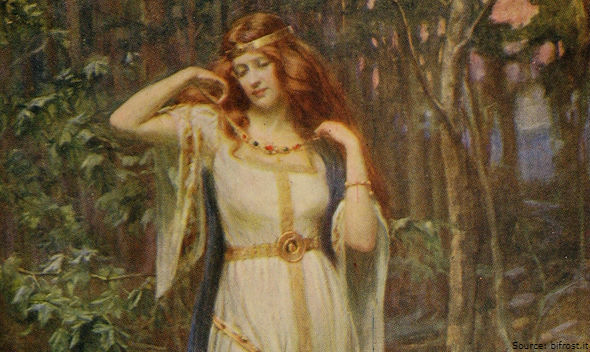 In the legends of the ancient Scandinavians it is said that Freya wore a jewelry piece of unthinkable beauty — a large golden necklace of Brisingamen. This precious jewelry item was considered the most skillful creation of crafty dwarves. 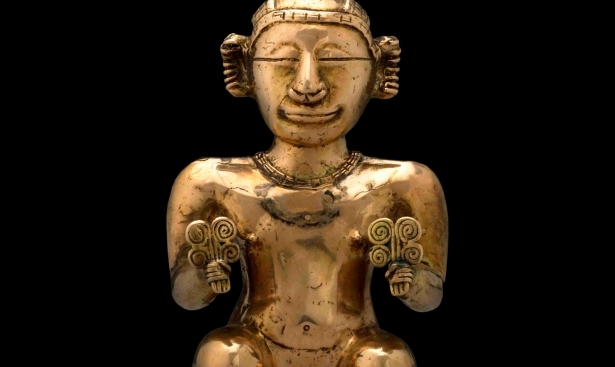 In the picture: the goddess Frey wears the Brisingamen necklace.